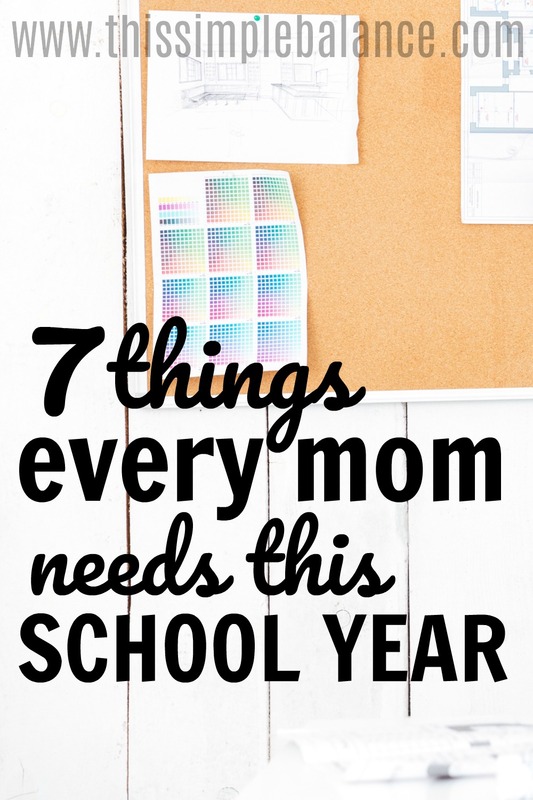 It’s that time of year again: the time of year when all the moms are scouring the web for ideas on how this school year can be as smooth and stress-free as possible. Whether you are homeschooling or sending your kids to school, all moms face similar challenges: what’s for dinner every night (before your family asks), how to keep up with the laundry, staying organized. 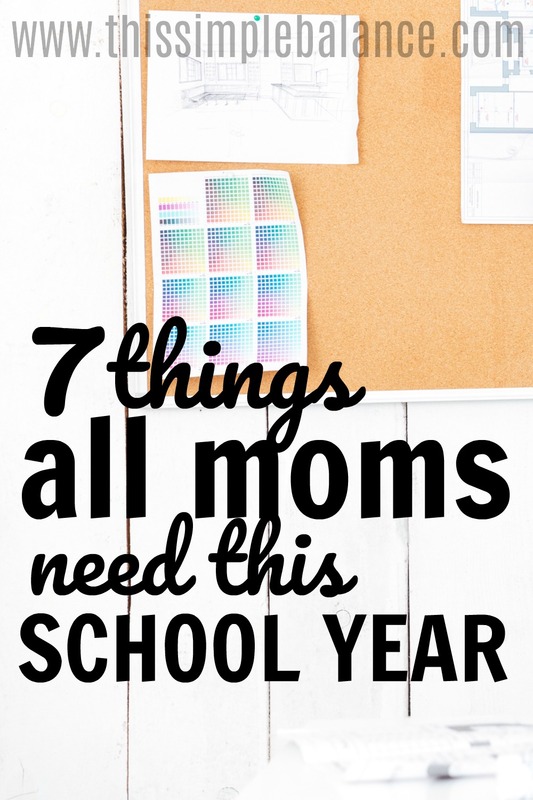 Having solutions to these problems ready to go before school starts will make your school year so much easier! Everyone in our family needs to eat, and generally us moms have to feed them. Bummer, isn’t it? Acceptance is the hardest part – it’s amazing how long it took me to come to terms with this whole concept. Having a solid meal plan strategy will make or break your school year. It affects so many other areas – your stress, your health, your budget. You name it: food affects it. Only recently did I decide that I was tired of looking up at the clock and realizing “Oh crap! It’s 4:45 and I haven’t started dinner…and I have no idea what I’m going to make.” And tired of my husband coming home to no dinner (and me feeling guilty). For several months last year, I relied pretty heavily on my minimalist meal plan, until my husband just couldn’t take it anymore. He very cautiously requested some variety in our menu. After avoiding the problem for several weeks, I reluctantly returned to Plan to Eat, an online menu planner that I’d used in the past. It didn’t work the best for me because I planned so many of our meals around couponing at the time. Basically, it wasn’t very efficient. I’m so glad I tried again! Plan to Eat is seriously saving my life right now. It stores all my recipes, which I can drag and drop onto my calendar. Then, it creates my grocery list for me. FOR ME, guys! It saves me time and money, one of my favorite combinations, all for less than $4 a month. If you’re struggling with meal planning, I highly recommend checking them out (you can try it for 30 days FREE through this link). Staying on top of the dishes when you have little kids feels impossible some days. You need a new cup – again?! But just like there are a million different meal planning strategies, there are also several ways to tackle the dishes. Run the dishwasher more than once a day. Running the dishwasher feels wasteful, but you always have to weigh cost versus sanity. If you are homeschooling or just have a lot of kids not in school yet, dishes are probably a huge source of stress. I don’t know about you, but there are many days when all the dishes just don’t fit at the end of the day. Is it worth a few extra dollars a month for you to have a clean kitchen? Probably. Do the dishes right after dinner. After dinner, my house is crazy town. I used to resist putting on a show for the kids after dinner so I could tackle the kitchen. My husband is usually wiped out after a long day at work, and I just want a clean kitchen before bedtime! Putting on a thirty minute show is worth it. If getting dishes done will make you a happier mama, figure out how to make it happen. Keep paper plates for crazy nights. Even with a solid meal plan, we all have crazy nights. I realize that paper plates don’t make that big a dent in the dish load, but the mental difference it makes is huge. That’s so wasteful, you’re thinking. It’s not very frugal, you’re thinking. Yep and yep. But it’s sanity-saving, and that’s what you need during the school year. Keep some on hand for those nights that you just can’t handle the thought of more dishes. I read an article this week titled, “Why I can’t Afford to Send my Kids to Public School”. The astronomical cost of school supplies is absolutely shocking, but with everything else in life, there are always ways to save money. Since I’m homeschooling, I won’t be needing the backpacks and lunchboxes, etc., etc. However, we still need all the pencils and glue sticks and markers, and my kids go through paper like its water. I’m all for simplifying life and tackling purchases in one fell swoop, but you can get some seriously amazing deals at Staples if you shop there every week in August. They offer different deals each week leading up to school starting, so be sure to check their circular every week. For paper, Staples offers a special rebate on paper about four times each year. If you google “penny paper”, you should find deal listings for the last time the deal was offered. Add three months to that, and you have an approximate date for the next sale. Put it on your calendar and stock up on up to four reams of paper for the end price of a penny a pack (your rebate will be mailed on a Visa gift card a few weeks after purchasing-just don’t forget to follow the instructions on your receipt to fill out the form online!). Remember running errands without kids in tow? Errands were annoying but oh so effortless. Fast forward to your present day reality when errands means getting kids in and out of car seats, diffusing potential tantrums, and navigating every little request for additional items. Errands are downright exhausting! Then factor in all the decision-making that comes fitting errands in around school and naps and extracurricular activities. Should I cut this lesson short? Should I interrupt this child’s nap? Can I fit this errand in before pick-up with only one kid or will I have to bring all three with me to Target? These are the seriously tricky decisions we make all day as stay at home moms. After all, your choice could make or break your afternoon. A reader recently asked how I fit in errands into our schedule. The short answer? I hardly ever have errands to run besides weekly grocery shopping. How do I pull that off? Through the gift of online shopping, which coincidentally can be both a time and money saving option. Most of our purchases (even some groceries!) I make online using Amazon Prime or my Target REDCard. It saves me SO much time and money. It is absolutely worth the $99 fee for Prime membership and waiting a couple days on a package to save me dragging four kids through Target. No matter how good your kids are, it is still exhausting and expensive – not because my kids ask for things, but because I want all. the. shiny. stuff. I’m convinced that Target clearance endcaps are the worst consumer trap ever invented. Getting behind on laundry can absolutely wreck your Sunday evening. When your husband tells you at the last minute that he has no clean underwear and your kids are out of anything decent, it can feel like the end of the world. If laundry is a major source of stress, make this the year you find a routine that works for you. There are generally two camps in the realm of laundry routine: multiple loads on one day each week versus one load every day of the week. I’ve tried both and landed on a hybrid of the two. Mondays, Wednesdays, and Fridays all have assigned laundry loads. Even if all the assigned laundry doesn’t get done on the prescribed day, there is a day in between to finish up whatever is left. It makes me feel like I’m not doing laundry every day, even if I end up doing just that. It works for me. Every mom needs a good planner, but every mom is SO different. Finding the right planner for you depends on your personality, your family size and dynamics. Personally, I love the flexibility of the bullet journal. I use the system extremely loosely and adapt it to my ever-changing needs. You can do you as much or as little of the official system as you want! That’s the beauty of the bullet journal. But if you want something with structure that’s been created for you, there are so many awesome planners. I know many homeschool moms who have created their own simply because they couldn’t find one that they liked and worked for them. Some of them have made those available for sale on their websites. However, if you do the majority of your scheduling and planning from your phone–and like to sync calendars with your spouse, something like Trello may work for you. Using apps may not feel like enough. You may have visions of transferring every event from the school calendar to your planner. But if you find yourself using digital planning methods over and over again and planners you have purchased in the past sit on your desk collecting dust, it’s probably time to embrace your digital planner. Save your money and do what actually works! Before purchasing a planner, think about what you need and want from it. What will you use it for? Does it have enough room to keep track of everyone’s activities? Will you actually use a physical planner or do you need to find the right apps (or combination of apps) on your phone or tablet instead? As moms, we are constantly inundated with articles about how we should be parenting, what schedules our kids should be on, and how much media they should (or should not be) watching. It’s so easy to get stuck doing life in ways that do NOT suit our family – us, our husband, or our kids. This school year, the most life-saving thing you can do is to think outside the internet box. For example, last year in our homeschool, I attempted to fit everything in in the morning. It felt like pulling teeth. My daughter woke up ready to create, and I constantly felt like I was interrupting her amazing projects. Yesterday, I came across an article on Pinterest that suggested doing school in the afternoon. This mom had the same struggle I did – her daughter woke up with her creative juices flowing, ready to craft and pretend play for hours. Finally, instead of fighting her daughter’s natural rhythm, this mom decided to move school time to the afternoon with great success. We are going to try it and see if it works in our homeschool. Are your kids natural night owls but bedtime is awful every night because you are trying to get them to bed at the “right” bedtime? Have you been trying to wake up before your kids in the morning because that’s what all the moms say will make your day a success? Do you need to let your kids watch an extra thirty minutes of TV after dinner so you can clean up the kitchen, but all the experts say it’s half an hour over the amount of media they should have? The most important thing you can do this school year is think outside the box, outside all the opinions of well-meaning friends and experts. Think outside even your own voice that whispers (or screams) what you “should” be doing. What is going to make your family thrive this school year? Leave behind the “shoulds” and do that. P.S. Don’t forget to give Plan to Eat a try if you don’t already have a meal planning system that works for you. It’s free for 30 days from the time you sign up! What are you doing to eliminate stress this school year? Share in the comments! I hope some of these suggestions are helpful to others!! These are great tips, Jamie! Thanks so much for sharing – I love rich comments full of new ideas to make family life run more smoothly. I bet the laid out clothes are a life-saver! Yes and amen to running the dishwasher as frequently as possible! Absolutely! Ironic though – I’m saving money with a paperless kitchen but running my dishwasher multiple times and occasionally using paper plates.